John McEnroe is one of the most intriguing tennis players ever, with his smooth left-handed strokes on the court, to his downright combustible personality leading to outbursts against anyone he encountered or disagreed with. A new film, titled "John McEnroe: In the Realm of Perfection" chronicles McEnroe's 1984 season, which he only lost three times out of 85 matches the entire year. One of those losses was to Ivan Lendl in the French Open final, where he blew a two-set before losing 3–6, 2–6, 6–4, 7–5, 7–5. 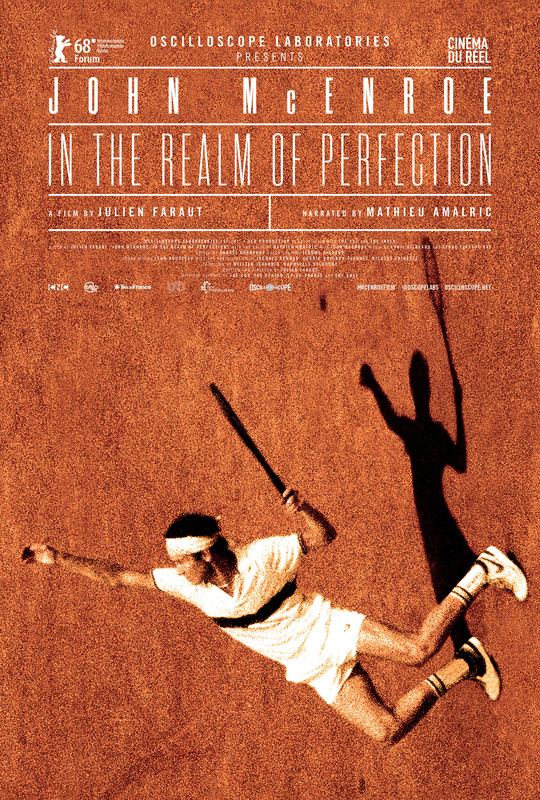 "In the Realm of Perfection" is not a basic by-the-numbers documentary, as it tries to delve deep into McEnroe's personality as well as study the seven-time Grand Slam winner's movement and his intense drive to win at all costs.